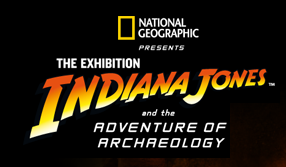 Indiana Jones: The Exhibition opens today at the Discovery Science Center in Santa Ana, California. The exhibit, previously seen in Valencia, Spain and Montreal, Canada, will be open for visits from until April 21, 2013. Tickets are already for sale via the Discover Science Center website. Non-member tickets are just $10 ($8 for members). That's a great price to see a wide variety of the original props used across the Indiana Jones franchise. If you make it out to the exhibit, please let me know!